Medical staff scheduling (sometimes referred to as rota management within academic or teaching hospitals) automates and optimizes the process of creating and maintaining health care employee schedules. Medical staff scheduling is an internal solution; that is its main distinction from patient scheduling software, which is an external solution that provides patients with a portal or tool to book appointments with their physician. Health care organizations (of any size) that leverage medical staff scheduling solutions reduce scheduling friction, effectively manage resources, account for scheduling or availability irregularities, boost employee morale, and improve patient care. Medical staff scheduling software exist both as standalone tools as well as a feature of a comprehensive medical practice management software. Medical Staff Scheduling reviews by real, verified users. Find unbiased ratings on user satisfaction, features, and price based on the most reviews available anywhere. 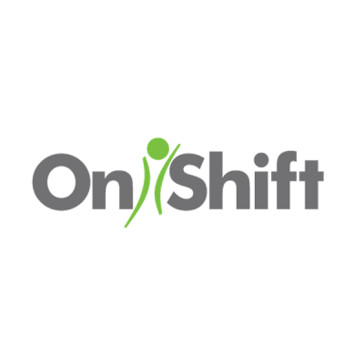 OnShift delivers intuitive software and proactive services to solve workforce challenges in health care. Our easy-to-use cloud-based software prioritizes your people for the best hiring, scheduling and employee engagement you could ever imagine. Visit www.onshift.com for more information. Casetabs collaborative scheduling lets you manage, share, and collaborate around your case schedule like never before. Whether you need to coordinate with your staff, surgeons, anesthesia, vendors, outside offices, or even patients, Casetabs gets everyone on the same page. ShiftWise delivers total contingent workforce solutions for healthcare via proprietary web-based applications, custom staffing and consultative support services. Automate all aspects of clients contingent workforce management process. Electronic medical record (EMR) system with PACS module and document management system designed to use over a network. August Systems, Inc. is located in Spokane, WA. The Visit Wizard software is used by Home Health, Private Duty and Hospice agencies. Clarityagency has been designed specifically for the health and care markets and works across any organisation structure and across all staff groups, including community settings. The intuitive technology automates the deployment and management of quality, compliant temporary staff through supply chain management and accurate management information. 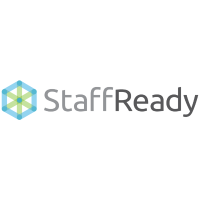 It works seamlessly with Claritystaffbank and Clarityroster, allowing hospitals to engage with their temporary, contingent workforce in an efficient, compliant and cost-effective way. It gives the user complete visibility and control over its spend and operations. In real time, managers are able to know who, where and what the cost of their flexible workforce is at any time. This system is easy to use, ensures adherence to procurement framework regulations and cuts agency spend. Combine this with additional savings through back office efficiency, improved patient care and better management of the agency supply chain – it makes for a powerful solution. It’s available on a master vendor or neutral vendor basis – giving you choice over how you control your supply chain. The NHS is by far the biggest and most complex employer in the UK and, as such, demands a sophisticated approach to designing staff rotas. Get it wrong and it becomes a costly affair with extended patient waiting times, demotivated employees and worryingly, higher risks to patient safety. Get it right and you reduce costs, engage your employees and importantly, deliver better patient care. DutyRota for Healthcare is a schedule auto-generator for nurses, designed to put the right number of nurses with right skill-set, balancing workload across shift taking employee preference and compliance guidelines into consideration. Helping hospitals and providers easily manage contracts. Ezitracker provide the market leading remote workforce management technology used by homecare and facility management providers. Happy Rota is an online scheduling and resources management system designed to meet the information management needs of companies providing services requiring shift rota systems in single or multiple locations. inoday offers an appointment management system with calendar access for patient and doctor. 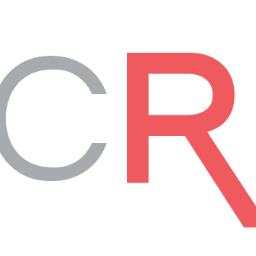 Intrigma is a physician scheduling software focused on reducing costs, saving time, and improving staff morale for physicians, medical groups, hospitals, and nurses. A fully automated, rules-based shift and rotation scheduling application capable of managing the most complex rules and policies of any department or teaching hospital. Max-Gold is a medical office management system designed from the ground up as a tool for clinic management, patient scheduling, and medical billing. Momentum is a healthcare staff scheduling system designed to properly schedule staff, doctors, residents, techs, nurses and other team members. Momentum is designed with specialists in radiology, cardiology, anesthesiology, and others to incorporate the unique rules and policies of each practice. Why Use Medical Staff Scheduling Software? Who Uses Medical Staff Scheduling Software? When hospitals, animal hospitals, and health care practices adopt scheduling software (along with other workflow and workforce management solutions), they take deliberate steps toward gaining oversight into staffing levels, reducing labor costs, and minimizing friction when creating schedules. Scheduling, specifically, has historically been a manual endeavor, an intensive, time-consuming task that is difficult to keep up to date and where last-minute changes can be challenging to accommodate. A few reasons why medical scheduling is so complex include the 24/7 availability of hospitals, unplanned personal emergencies, last-minute patient emergencies, and staff certification requirements. The most significant benefit that medical staff scheduling software offers to both managers and health care professionals is automation. Automation significantly simplifies tasks such as tracking compliance and monitoring overtime and absences. Additionally, automating such a crucial aspect of the job positively impacts the happiness and satisfaction of medical professionals. Both managers and staff avoid the slog of shift assignment, reduce unwanted overtime and no-shows, and receive 360-degree visibility into their coworkers’ schedules and conflicts. Medical staff scheduling ensures efficient levels of staffing at a hospital or medical practice. Some medical staff scheduling software can even offer a built-in time tracking module, which streamlines the monitoring and tracking of staff without forcing them to manually clock in and out. Some medical staff scheduling solutions facilitate self-service, empowering employees to schedule and swap shifts on their own. There are two end goals with medical staff scheduling: easing scheduling-related responsibilities from administrators and managers and improving the work/life balance of health care professionals. Patient appointment scheduling, on the other hand, empowers patients to schedule their appointments on their own time using the channel that best suits them. Rather than waiting on hold to request a physical checkup appointment over the phone, patient appointment scheduling software enables them to easily go online to the practice’s portal and select the date, time, and physician they desire. Patient appointment scheduling software also goes by "medical scheduling." Medical scheduling software can match providers and patients based on relevant diagnostic and treatment types, and can even dispatch medical professionals for emergencies. Self-Scheduling — Self-scheduling lessens manager involvement and enables staff to have a hand in creating schedules that work for them. Additionally, self-service medical staff scheduling software facilitates easier shift swapping, because managers no longer need to be the middleman who coordinates last-minute shift changes via exhaustive, manual communication. By diminishing the arbitrary assignment of shifts, practices support transparent and fair scheduling practices. Self-scheduling also results in a reduction of no-shows and overtime, because employees are more likely to receive schedules that align with their needs and preferences, as well as receive updated, real-time notifications of their shifts. Labor Cost Savings — Medical staff scheduling solutions significantly decrease the time it takes to create and maintain shift schedules, as well as minimizing employee turnover. Staff that feel that their scheduling preferences are taken into account and that they’re aren’t being stretched too thin experience less burnout. Less burnout equals less turnover, which equals less money being spent on recruiting, onboarding, and training new hires. Additionally, managers can actively clamp down on unnecessary overtime and expenditures with accurate scheduling of both staff and resources. Improved Delivery of Care — An added benefit of efficient medical staff scheduling is improved delivery of care to patients and an increase in patient satisfaction. When the proper physician is scheduled, then hospitals and clinics reduce patient wait times, can engage in quicker call-back and follow-up responses, and can accurately capture patient information for the purposes of revenue cycle management. Tailoring — Not all health care practices run the same. For example, while large hospitals manage a vast pool of medical staff, assisted living centers must juggle the schedules of both in-house staff and on-call professionals who are dispatched to the facility. Intelligent, automated medical staff scheduling software addresses those challenges, recognizing the need to allocate staff based on specific skills, certifications, work schedules, and other preferences. HR and Managers — Managers and HR professionals spend countless hours creating shift schedules, reconciling them with existing personnel and a variety of factors, including specialities, pay grade, and availability. Management is the go-to for any medical professionals requesting schedule changes and time off, so they greatly benefit from a solution that automates all assignments. Additionally, the HR team can wield org data to optimize rotations, accurately maintain roster information, and improve payroll. Nurses, Clinicians, and Physicians — Any medical professional who must follow the X hours on/Y hours off model depend heavily on shift schedules that are up to date and accurate. Real-time and mobile scheduling eliminates scheduling errors, issues, and miscommunication. Effective medical staff scheduling software results in transparency, accountability, and an actual balance between work and life. Front Desk Admin and Switchboard Operators — Both front desk administrators and on-call switchboard operators benefit from accurate, cloud-based medical staff scheduling. In dispatch scenarios, knowing which staff and emergency personnel are actually on duty eliminates any errors in dispatch. Within a health care organization, front desk employees can better direct calls and page staff when they know the schedule they’re referencing is the most up-to-date one. Employee Database — Medical staff scheduling software provides a centralized database of employee information. This database, whether it’s offered by the software or the software provides a seamless integration with your existing database, is important because it records, stores, and maintains accurate provider information. To be effective, medical staff scheduling software automatically takes into account factors such as credentials, seniority, competencies, compliance requirements, and security levels when setting schedule guidelines. Employee Monitoring — All medical staff scheduling software can monitor employee activity in some way. Even the most basic scheduling solution can track and store staff’s days off, paid time off, and overtime. More advanced scheduling software can analyze those metrics to add context to HR departments, intelligently reconcile staffing information, and identify patient or provider trends. Customization — A flexible, customizable scheduling solution can best handle the complexities that must be addressed to optimize the workforce. It’s not just a matter of whether a scheduling software can scale, it’s whether the tool can withstand any scheduling-relevant preferences, rotations, and last-minute updates. Health care professionals’ shifts aren’t static; they constantly change every shift period. Manager Permissions — While medical staff scheduling software does, indeed, reduce managerial oversight on an individual basis, the software does equip managers with an extra set of eyes. Some scheduling software requires the setting of managerial permissions, which provides employees with the freedom of choice and preferences in their schedules but retains oversight via approval processes. Analytics — Medical staff scheduling software that is able to analyze amassed physician and provider data greatly equips management and administrators with forecasting data. Analytics also enable the optimization of resource allocation for necessary appointments, surgeries, and other clinical services. Mobile Access — Health care professionals are mobile by nature. They are on their feet all the time, whether it’s at work or outside of work. A scheduling solution that can only be accessed by desktop computer or in-house logging system doesn’t live up to its efficiency theme. Mobile functionality, then, is an important feature that can continue to empower and notify staff. Solutions that can easily be accessed (and remain encrypted) on personal laptops and mobile devices allows health care professionals to make requests, receive notifications and reminders, and communicate with one another. Predictive Analytics — Medical staff scheduling software is already focused on automating tasks and collecting data. Take that one step further, and software will start leveraging predictive analytics to help forecast patient demand and staffing needs. Health care workforce management solutions of all kinds can benefit from predictive analytics’ data mining, data modeling, and algorithm-making. Predictive analytics can optimize staffing by accurately analyzing historical staffing data and ensuring precise scheduling and shift management functionalities. Integration with Patient Records — Any health care solution benefits from the storing, management, and wielding of data. Right now, the majority of medical staff scheduling solutions and EHR software require integration with a medical practice management before they can share data between those two systems. A growing number of scheduling products do directly interface with EHRs, thanks to Meaningful Use regulations, which results in medical staff scheduling solutions leaning on captured patient data to best coordinate patient-provider appointments. Additionally, integrations with EHRs results in the provision of more immediate patient access to care providers. Predictive Analytics — Predictive analytics requires good data to be the most effective. That means that the data fed into a medical staff scheduling solution that’s powered by predictive analytics technology has to be up to date, which requires active engagement with the solution from its end users. Health care professionals have to be all-in on a solution for the practice to reap its forecasting and analytical benefits. Variability — Along with the same issues that effective predictive analytics technology requires, there’s too much variability that can negatively impact the effectiveness of medical staff scheduling software. While scheduling software automates tasks and reduces human error, it doesn’t completely get rid of it. Health care professionals still (and arguably expect to) have a hand in the creation of their work schedules, and that requires back-and-forth communication. Additionally, everyone wants their requests and preferences addressed, but those preferences may cause scheduling headaches across the board. A software can’t untangle miscommunicated information. The best it can do is to send out alerts and facilitate any shift-swapping or take note of clashing schedules. Unintuitive Applications — Despite scheduling solutions offering mobile-friendly applications, their interfaces may not always be optimized for the medical professional who’s used to the streamlined user experience of other consumer applications. When applications and solutions are difficult to use or require wrangling, end users tend not to use them as much as they need to. That issue becomes amplified when scheduling software vendors forget to prioritize user experience, only focusing on the utility of the solution. This can end up causing issues should a nurse forget to set up her schedule or request much-needed PTO because she’s too frustrated with the UI/UX. Medical Scheduling — Medical scheduling software is the patient-facing portion of medical staff scheduling. With medical scheduling software, health care practices of all sizes can better manage patient appointments, notify patients, and allocate medical staff. Some medical scheduling solutions offer staff scheduling functionality, but the majority integrate with each other or with the encompassing medical practice management software to leverage staff information. Clinical Communication and Collaboration — Clinical communication and collaboration software facilitates efficient and secure communication between medical professionals. One benefit of clinical communication and collaboration software is its coordination of medical staff activities, which neatly aligns itself with medical staff scheduling software, especially when staff coordinate with each other to swap shifts. Telemedicine — Telemedicine software leverages secure video conferencing and other telecommunications measures. Virtual clinical visits cut down on non-emergency visits, but they also require proper staffing during off-hours so that patients don’t receive subpar clinical consultation and service at odd times of the night. Hi there! Can I help you find the best Medical Staff Scheduling solutions?